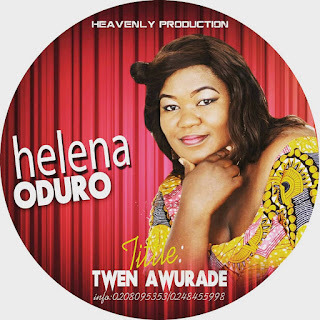 New Music: Gospel singer Helena Oduro is out with heart touching "Adansedie"
HomeMusic DownloadsNew Music: Gospel singer Helena Oduro is out with heart touching "Adansedie"
Ghanaian talented gospel diva Helena Oduro is out with a heart touching track "Adansedie" which is enjoying massive airplay in Ghana and the Ghanaian communities abroad. The track manifests what the Lord Almighty has done for us, and so we have a testimony to tell the world. I will urge every Christian who believes the Lord has done something better for him to download and listen to this track to join Helena Oduro to tell the world our testimonies. She is set to release her new album "Twenty Awurade"
Do you have any business you want to reach a larger market?